The memory card is not included. The USB connection support U Flash Disk and micro USB except mini USB. 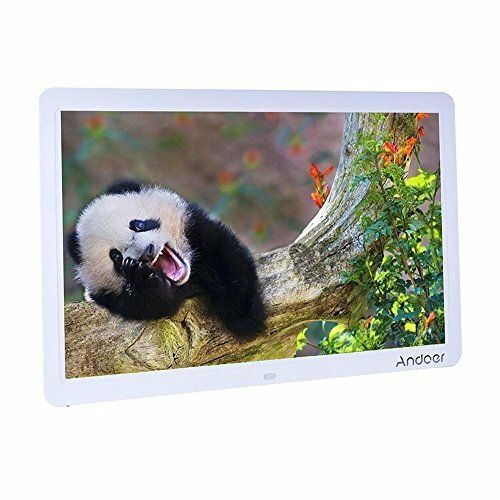 The lcd picture frame, 1280 * 800 high resolution, 250cd/㎡, support JPG, JPEG image formats, MP3 audio format and various video formats. This Picture Screen Playing Multimedia: Single looping pictures or music or video. Can also be mixed seeding (make a continuous loop for images and video). Clock & Calendar Function: Through it to know and control of time. Can also set the automatic switch machine (such as the morning when the automatic boot, when the automatic shutdown). Boot Automatically Play: Set up the boot automatically play (such as boot automatically play music, pictures, videos, mixed). Built-in Speakers: 8Ω2w*2, listen to your favorite tunes through the built-in stereo speakers while viewing your slideshow. If you have any questions about this product by Andoer, contact us by completing and submitting the form below. If you are looking for a specif part number, please include it with your message.